Go visit her blog, and then get busy creating cards for those who will appreciate it most. Be sure to take a peek at all of the fabulous prizes you'll have a chance at winning when you participate in this wonderful event. Here's a peek at the prize I'm giving away, but there are many, many more goodies from other sponsors and designers. Thanks to those of you who participate! You will make a difference. Thanks to Vera for being such a kind and thoughtful person - for putting together and carrying out the event. Free Shipping available on all orders of $25 or more. Valid thru 11:59 PM (CST) 10/24/10 on physical product only. Excludes international orders. My work space is not too exciting, so I've been hesitant to post about it. My last scrapbook room was featured in Better Homes and Gardens magazine. So - how do you beat that? You don't. ;o) Besides, I don't scrapbook much anymore, so I don't need much space for it or for my supplies. This is a very scaled down studio compared to the last one. It also changes from time to time when I feel like moving things around. Here is a shot of my desk, which is made from two file cabinets and an under-cabinet drawer from Pottery Barn. I painted a piece of plywood black to connect them and serve as my desktop. My computer is an absolute must, so it has prime placement on my desk. My Dahle paper trimmer is the same one I've had since I began this type of work, and it still works just as great as it ever did. That's probably one of the best purchases I've ever made. In fact, I should probably go add it to my "must-have" section right now (*note to self*). On the right side of my desk, I have an old mail-sorter that is used for storing miscellaneous items. My inspiration board is posted above so I always have something pretty to look at. Here is a wider shot, so you can see where Daisy gets creative. She has her own little desk and she sits on the floor to work. This space is never this clean, by the way - it was tidied up for this shot. She has her own paper trimmer (Making Memories ) and all of her own supplies. Here is a better shot of some of the items on her desktop. Most of these jars are from The Container Store. I like keeping buttons and ribbons on display because they are so pretty and colorful. Well, there you have it! A tour of my studio. That didn't take long, did it? Truthfully, I do have more storage space - I just haven't photographed the rest of it. I have a section for cardstock and patterned paper storage, and yet another area for more "stuff" (the extras - like punches, chipboard, mini albums, etc.). I thought I would post the answers to a questionnaire given to me by the Pink Paislee girls a while back. If you're a Facebook friend of mine then most of these answers may seem a bit redundant because they are listed on my info tab. ;o) It's still a fun questionnaire though! Inspiration – I find it in random places: catalogs, store fronts, clothing, magazines, advertisements, cd artwork, blogs. Favorite Product – I love rub-ons, alphabet stickers, word-phrase stickers, anything with dots, and chipboard in all forms. I hate glitter and I don’t like stamping. Guilty Pleasure – Haagen Dazs Coconut Sorbet (I think it has been discontinued. If you find it for me I will love you forever!). Massages. Pedicures. Bobbi Brown makeup . David Beckam. 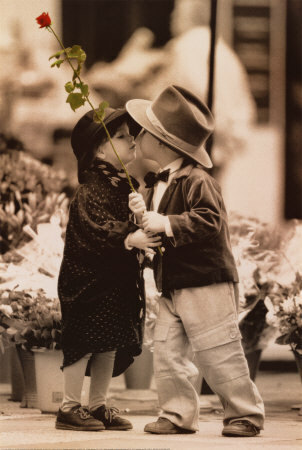 Favorite Memory – First kisses are the BEST memories. One Fear – I do not want anyone I love to suffer. I hate to see suffering on any level, for anyone, but particularly for someone I love. First Job – At a sweat shop. lol. (Kidding.) It was a laundromat that a neighbor owned, but it was in a building with no air-conditioning and hot steam machines running constantly. I worked there during the summer in South Carolina, so it really was miserable. Music – Ludacris , Gary Allan , George Strait , Korn , Rob Zombie , Kid Rock , Ying Yang Twins , Jason Aldean , Blake Shelton …I’m all over the map with my favorite artists. I love music and what I listen to varies according to the mood I’m in. If I had to pick just one artist, I could listen to Gary Allan 24/7. Typical Day – It would involve going to the gym, getting Daisy back and forth to school, working, doing laundry, working some more, helping Daisy with homework, answering emails, and about 20 other random things (depending on the day). I usually talk to my parents once a day, either on the phone or by email. I try to avoid cooking if at all possible. HERE is a blog link to very random photos from a typical day. Signature Piece of Clothing – I am a flip flops /shorts/t-shirt kind of girl for 75% of the year (it is aways summertime here in TX) and I like high heeled boots (the higher, the better! )/jeans/hoodies in the winter. Oh, and gym clothes! I work out a lot. Scrapbook Style – Is very neat and linear (example). I like to focus on the photos (example). I always include journaling (example). I layer a lot (example). I probably use at least 5 different colors and products on each page (example). I love details (example). I am a bit of a perfectionist (example). Because Halloween will be here before you know it, I thought I'd share a few masks I created for the October 2010 issue of Scrapbooks etc. This one was even easier. I cut out a mask using spiderweb themed paper, punched a hole in one corner, then slipped a little plastic spider ring through the hole. Link me up if you create your own mask - I'd love to see it!